Show that special guy in your life just how much you care with a thoughtful gift of gourmet fruit. 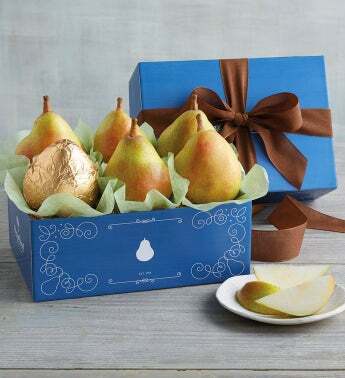 Tucked inside of this blue gift box are five exceptionally sweet and juicy Royal Verano® Pears, with one wrapped in gold foil for an extra special touch. He's sure to love each and every bite of these delicious delights.